Ericksen Krentel - Bmore Creative, Inc. 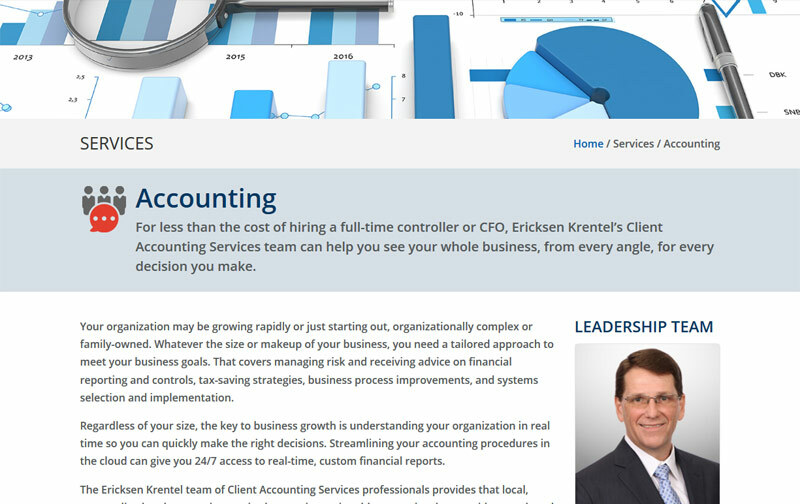 While Ericksen Krentel’s accounting and consulting services have evolved over six decades to continuously meet the client needs, their online presence was in need of an update. 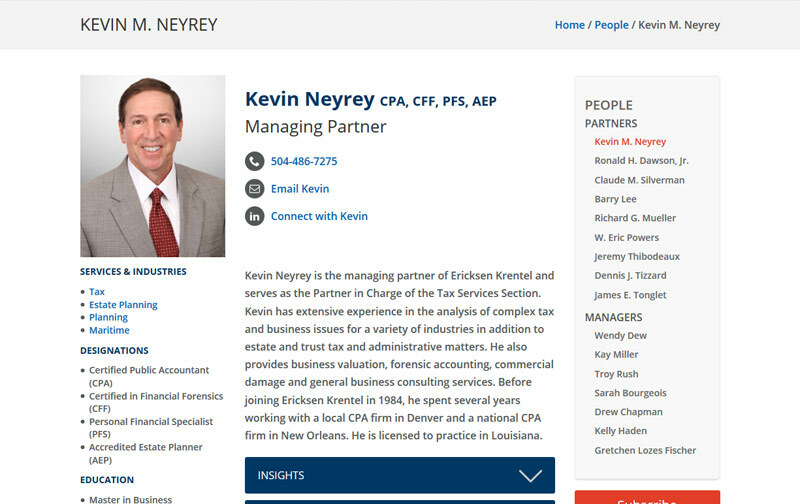 By offering specialty services in cutting-edge industries such as data analytics, forensic and fraud accounting, EK has not only remained relevant but continues to grow. 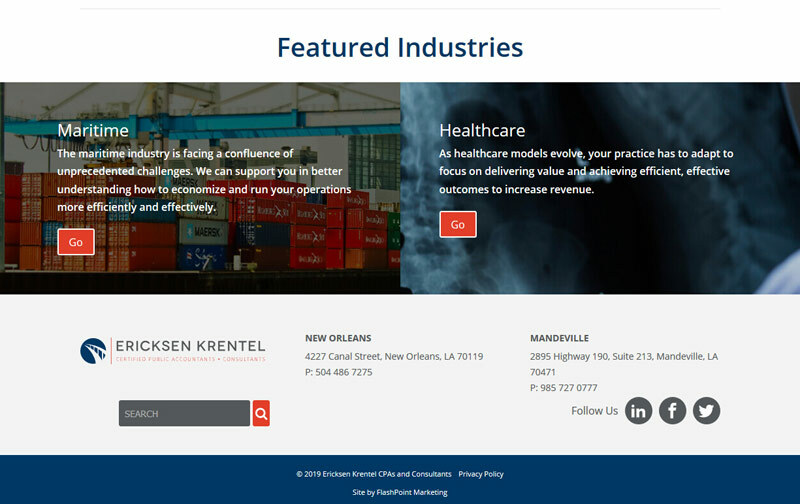 We partnered with FlashPoint Marketing to create a new website that met the standard of excellence and service for which EK’s team of experts is so well known. 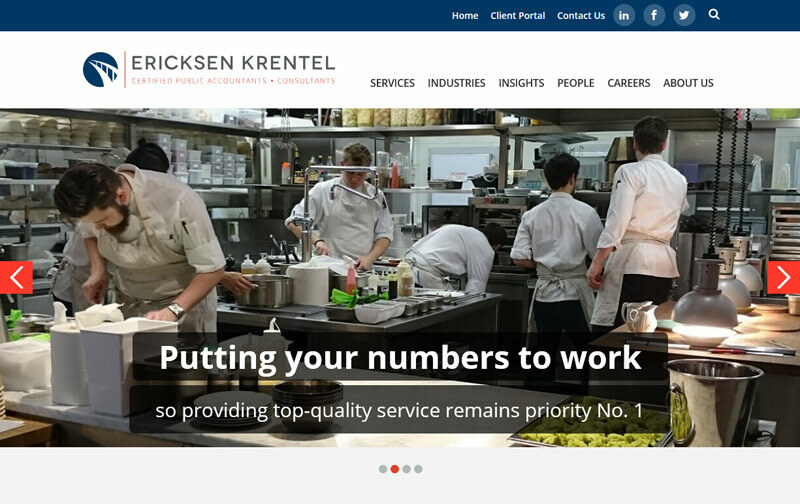 We re-imagined ericksenkrentel.com with the client’s criteria and the end-user experience as top priorities, bringing a refined design and lean information architecture to the site. For the site administrator, there are efficiencies to be found with content updates and frequently publishing blog posts. For the end-user, it will be faster to search, navigate and find relevant information thanks to an emphasis on internal linking and prioritizing content. Working together with FlashPoint Marketing, the website was redesigned with an emphasis on each member of the EK team, their diverse areas of expertise, industries within which they serve, community involvement and award-winning services. Together, we created a responsive website that leads you through a wealth of expertise while matching your needs with EK’s specialists in that industry.